With hardly a week left for Kerala to go to the polls, the Congress and the BJP are strongly highlighting the Sabarimala Ayyappa temple women entry issue. Congress president Rahul Gandhi, who was on campaign in South Kerala on Tuesday, reiterated that the Congress party strongly believed that everyone should be allowed to follow their beliefs and faith in peace and not use violence. He, however, did not name Sabarimala. 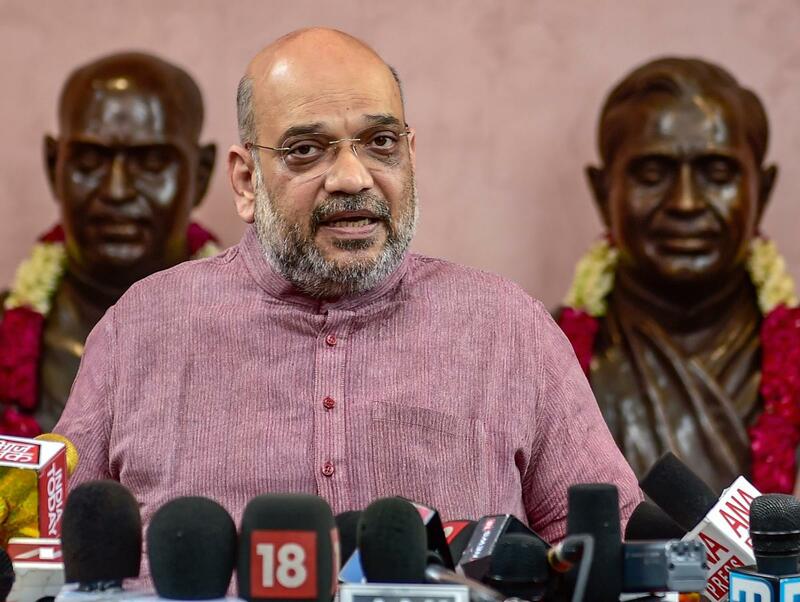 Hours later, BJP president Amit Shah said in a campaign meeting at Thrissur that the BJP would stand by the Sabarimala devotees to protect tradition and beliefs. He also accused that the Kerala government had not implemented many Supreme Court orders, but unleashed violence against the devotees for enabling Sabarimala women entry verdict. Rahul addressed campaign meetings in Pathanamthitta and Thiruvananthapuram constituencies, where the Sabarimala issue is likely to influence people's mandate. He also attacked the BJP-led government at the Centre. Going soft on the Left, Rahul said that the Left Front did not do what the RSS was doing in India. The RSS was trying to destroy constitutional institutions. The Congress will fight the hatred of BJP-RSS with love and compassion, he said, adding that the high level of tolerance in Kerala was also a reason why he was contesting from here. On Wednesday, Rahul will be campaigning in Wayanad constituency in North Kerala from where he is seeking election, apart from Amethi. Rahul will offer prayers at Thirunelli Mahavishnu temple in Wayanad, to which he is emotionally attached. The ashes of former Prime Minister and Rahul’s father, Rajiv Gandhi, were immersed in the Papanashini river near the temple by Congress workers in 1991. During his visit to Wayanad earlier this month for filing his nomination papers, Rahul and his sister Priyanka Gandhi expressed their wish to offer prayers at the temple. But owing to security reasons, it was not possible. Wayanad district recently witnessed killing of a naxal leader in an encounter and, hence, a threat from Left Wing Extremists prevails. Hence, strict security measures are being taken.